Betexchange is one of the largest betting sites in South Africa offering some of the best odds in the gambling industry. The site is owned by Keith Ho Betxchange and is powered by the Turfsport platform. Betxchange is licensed by Gauteng Gambling Board and the Mpumalanga Gambling Board. Company’s headquarters are located in Johannesburg, South Africa. Despite the lack of popularity, the bookmaker has a long history behind it starting its business almost 30 years ago in 1988. Keith Ho Betxchange was re-branded in 2002. The company is the non-disputed leader in the South African gambling industry with countless outlets in Turffontein, Yeoville, Benoni and Nelspruit. Having a long history of the betting industry Betxchange have made a lot of changes to their management and overall gambling policies to ensure that the customers are getting the treatment they deserve. Especially in the last six years they have upped their game with many new technologies and market offers. 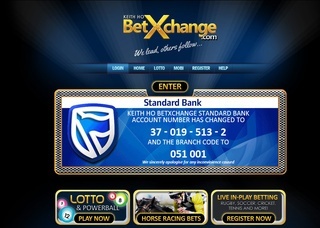 With the help of social media platforms, the site quickly became a standard for betting exchanges in South Africa. They do intend to grow internationally, and that is why they implement every innovation offered by bigger companies in the world. The bookie’s popularity tendency is to grow – 77000 places up to 153000 in just the last three months. 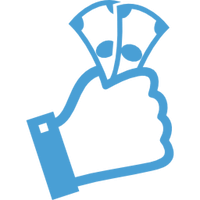 The odds available on the site are everything you can expect from a reputable betting exchange. You have multiples with excellent bonuses and plenty of markets to choose. You can choose from Single, Double, Treble, Four-fold, Five-fold (up to ten-fold), Trixie, Patent, Heinz, Super Heinz and many more. For tennis, soccer and basketball (as well as many other sports) there is match winner, and for power balls All Balls even wagers. All in all the odds are pretty good, and promotion offerings follow you everywhere you try to bet. Being the leader in South Africa Betxchange has made an effort to please their customers in every way possible. They are heavily involved in Social Media, which proves their dedication the users. Linkedin, Pinterest, Facebook, Twitter and almost every other popular social media platform is presented as a choice to contact them. They have three dedicated phone lines where you can contact their customer support unit directly. They also have a dedicated email address for every specific question you might have about deposits, promotions, business, complaints and others. The site has an SSL encryption that is a must for nowadays betting platforms. So you can be sure your personal data is well protected and available only to the company’s employees. Depositing money into your account is very easy, and you can choose from many methods made available by the company. They have made four bank accounts available for deposit and the minimum required sum is R100. There are no charging fees whatsoever except the ones that your credit card provider has. There is no maximum for depositing funds specified on the site, and they do not mention anything about the currencies supported, but this can be quickly resolved with a question to their customer support. Minimum withdrawal amount is also not specified, but it should be in the range of R100. If the withdrawal amount exceeds R25,000, you’ll have to provide FICA documents. As far as promotions go Betxchange provides with plenty. There are 10% to 100% bonus offers for multiples. They have prize pools for Soccer with 60% of the winnings for the overall winner. The First Deposit Bonus is R10 000, or about 750 USD. Depositing R10 000 you will receive 100% of them in a bonus amount. Then the rollover requirement is the bonus to be bet 10 times or 5 times bet the deposit and the bonus. When you activate this bonus you will have 1 year to meet the rollover requirements. They also offer an R100 free bet for Fantasy Premier League. You can find all the other bonus offers on the “Promotions” page, and you’ll be not disappointed. The company tends to update their offers frequently, so you have to keep a lookout for their bonus codes.